There is going to be a Nevil Shute Weekend in Hanover, New Hampshire April 13-15, 2018. The weekend will be similar to the Centennial Celebration in 1999. In addition to the Presentations, there will be round table discussions, and camaraderie. Information will be available this weekend on the www.nevilshute.org website, as well as on the Shutists Facebook page. WHAT - Weekend of all things Nevil Shute. Presentations, Discussions, Readings, camaraderie. ACCESSIBLE by Plane, Bus, Automobile, Train. 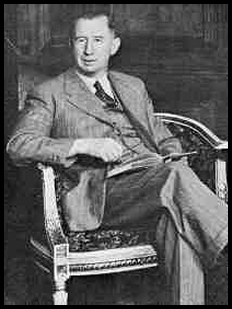 The weekend will feature presentations featuring the life and work of Nevil Shute. The Nevil Shute Norway Foundation website will be continually updated. Weekend information will be available on the www.Nevilshute.org website, as well as the Shutists Facebook page. APRIL 13-15 is 10 weeks away so make your plans NOW! Six South Street in Hanover, NH is our hotel choice. They have set aside a block of rooms for us. To receive our special rate, tell them you are part of the Nevil Shute weekend. YOU MUST MAKE YOUR ROOM RESERVATION BY CALLING. 603-643-0600. They do not take online reservations. If I can assist you, please contact me. There are rates for Friday and Saturday nights plus slightly reduced rates for Thursday and Sunday nights. There is a lot to see and do in the Upper Valley and we will be delighted to help extend your stay. If you are interested in Speaking or Presenting, please contact me at Lschneider@gm.slc.edu. There are a couple speaking spaces still available. If you have any questions or comments, please contact me. There will be further information as soon as details are confirmed. I look forward to a terrific weekend full of Shute, meeting new friends and seeing old friends. Hanover and the entire Upper Valley is one of the most beautiful parts of the United States. Whilst recently researching the history of Scottish Aviation, a small aircraft manufacturing company based at Prestwick, I came across an account of two crashes with similarities to the plot line of No Highway. I know Shute's foretelling of the problems of metal fatigue in aircraft structures is well trodden ground but I thought the crashes of the Scottish Aviation aircraft resembled more closely the plot of No Highway than did the crashes of the three de Havilland Comet airliners that occurred in 1954. In August 1957 a Scottish Aviation Twin Pioneer belonging to de Kroonduif Airlines, a subsidiary of KLM, crashed off the Biak coast of Dutch New Guinea. A far cry from the Reindeer or the sleek jet-powered Comet, the Twin Pioneer was a cumbersome, slow, ugly workhorse powered by two radial engines that could be described as the Land Rover of the skies. It could carry 16 passengers or 3,000lbs of freight. The aircraft that crashed in Dutch New Guinea had only flown 250 hours. Like the Reindeer that crashed in Labrador the inaccessible location meant that there was no opportunity to examine the wreckage and, again as in 'No Highway, the cause was initially deemed to be pilot error. However, a witness, a native fisherman, described a wing falling off before the aircraft crashed and subsequent investigation of the wing structure on other Twin Pioneers brought into question the strength of the wing struts and specifically the grade of steel from which they were made. All future Twin Pioneers incorporated a higher grade steel in the wing struts and aircraft altready in service were modified. Four months after the crash in Dutch New Guinea, whilst undertaking a demonstration tour of North Africa, a Twin Pioneer crashed in the Libyan desert, near Tripoli. This time the wreckage was accessibe and it was quickly established that the cause of the accident was a fatigue failure of the fitting that connected one of the wing struts to the wing and the consequent collapse of a front brace that comprised part of the strut assembly. It transpired that this aircraft was the only one that had not had the wing strut modification as the Managing Director, who died in the accident, had insisted on not delaying the tour for the modification to be carried out. This aircraft had flown only 564 hours whereas the tests had indicated that even with the weaker grade of steel there should be a safe life of over 2000 hours. But two aircraft had now been lost, one with just 250 hours and the other with 564. The original laboratory tests were based on a pattern of utilisation that comprised a take-off, climb to 3000 feet, cruise, descent and landing. A demonstrator aircraft would fly an entirely different pattern with more frequent take-offs and landings and a cruise level of only 1000 feet at which it would be subject to greater turbulence. The Twin Pioneer accidents bear a close resemblance to Shute's plot line insofaras the location of the first Twin Pioneer crash was inaccessible as was that of the Reindeer and the blame for both was initially laid on the pilot. The type of metal fatigue failure on the two Twin Pioneers was more akin to that on the Reindeer than those on the three Comets. The crashes of the Comets were attributed to structural failure stemming originating at the rivetted rectangular escape hatches rather than the grade of materials used. As a former metallurgist Shute would no doubt have followed with interest the events surrounding the two Twin Pioneer crashes. It is also interesting that Shute gave the Reindeer jet engines. In 1947/8, when No Highway was written, the Comet, the first jet airliner, was only on the drawing board and the prototype did not fly until July 1949 so the Reindeer pre-empted this by a year. I sent you two photos, both of the Royal Hotel in Invergordon Scotland. After a days research my reliable sources (the librarian and the barkeep at the pub) suggest that the Royal is the likely hotel that is depicted in An Old Captivity. It is of the right age and location across from the water. Editor: I have been looking into this. As you can see from the mural, the hotel was burned down. This happened in February 1973. Here is a photo, which was taken shortly after the fire. At the site of the hotel, later a filling station and garage were build. I have decided to offer a few copies of my book Shute: The Engineer Who Became A Prince of Storytellers as prizes in a Shute quiz. 1. What is the first name of Theodore Honey's daughter? 2. What is the first name of Alan Duncan's sister? 3. What is the first name of Peter Holmes' wife? 4. What is the first name of Keith Stewart's sister? 5. What is the first name of John Turner's wife? Send your answers to thornduo@meic.com. Please state where you live: UK, USA, Australia, or elsewhere in the world. Closing dates for entries, 12.00 Central European Time Wednesday 28th February 2018. This meeting was held on Dec. 5 at Yarmouth House in Yarmouth, a good halfway spot for us all. Those attending were Art and Joan Cornell, Judi Novak and Sally Rossetti. We enjoyed talking with our waiter who had been born in Russia, now lives in Yarmouth and seemed to enjoy visiting with us also. This was our smallest meeting ever. Two staunch members Marianne Smith and Howard Seiffert have moved off Cape. We will miss them. We reread A Town Like Alice, also called The Legacy, same book!! Most of us had read it several times, but not too recently. I, Sally, had not expected to reread it all but found my attention was aroused, read it all one again. It is told by an older gentleman, a very well respected attorney, Noel Strachan. As one reads becoming engrossed with the various surroundings, the story frequently springs back to the attorney, Noel Stachen. He then continues us on our journey. It is quite a trip, beginning in England and London, moving to the Malaysia peninsula and ending finally in Australia. Not all stories move so well around various locations but this one surely does. The weeks on the march up the Malay peninsula under the watch of Japanese soldiers as guard during wartime are grim but very well described. Lots and lots of information about Australia in the late 1940s after the war is over, is colorfully explored also terrifically interesting. There are 4 reviews on the Nevil Shute website, each writer looking at this book in slightly different ways, all also very worth reading. Our next meeting is February 3, Saturday, 2018!! Art suggests we nominate a book to read or reread, he will then choose the one most often requested! FROM THE EDITOR In the November 2017 newsletter, there was an article from Lies Klem, writing, that she put an advert in a national newspaper here in the Netherlands, asking for Nevil Shute books. She had many, wonderful reactions. We, my girlfriend and I, own all of Nevil Shute’s books in English. Of Shute’s books 17 have been translated into Dutch. We owned all of these, except “Ergens waar de wereld ophoudt” (Beyond the Black Stump). So we also placed an advertisement. We also got many great reactions, from all over the country, and one from a woman that lives only 8 kilometers (5 miles) away. So our collection is complete now. >From the Netherlands, where it is wet, windy and too warm for the time of the year, see you all next month.